This line of dry screw pumps is optimally suited for applications in low and medium vacuum. It is designed not only for industrial use but also for coating applications. 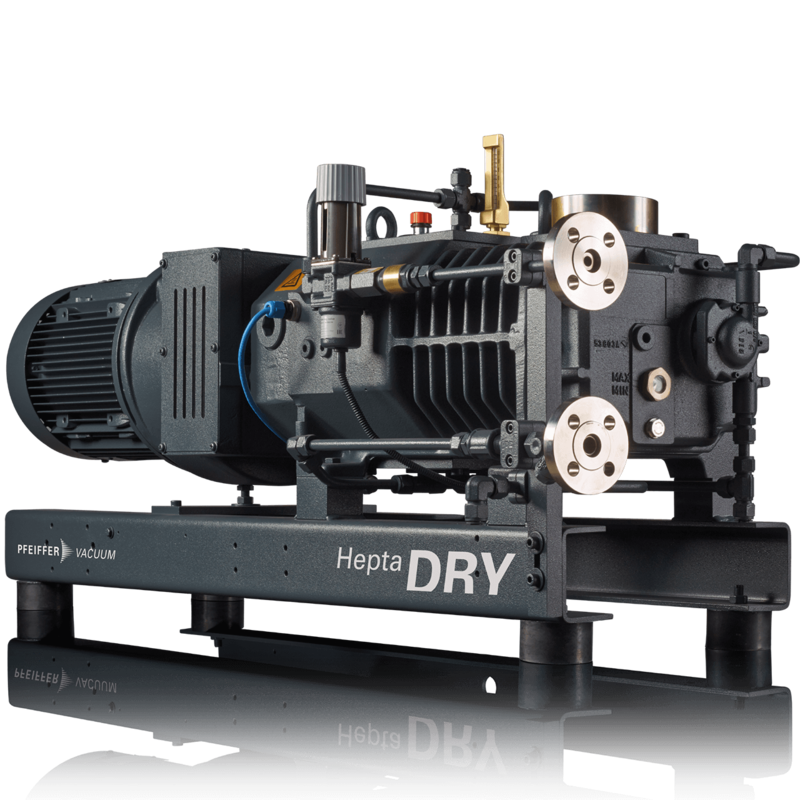 HeptaDry is the ideal solution for all areas which require oil-free vacuum. Pumping speeds ranging from 100 to 630 m3/h are achieved by this product series. Our screw pumps in the HeptaDry series are ideal for use as standalone pumps or in combination with our OktaLine Roots pumps. One special advantage lies in their one-piece variable-pitch rotors. They provide the internal compression that is necessary for reducing energy costs in HeptaDry pumps. It also enables thermally sensitive gases to be pumped. The dynamic wear-free seal between the bearing and the pump chamber increases operational reliability. The pump’s innovative design and low speed result in minimal stress on the bearings and seals.